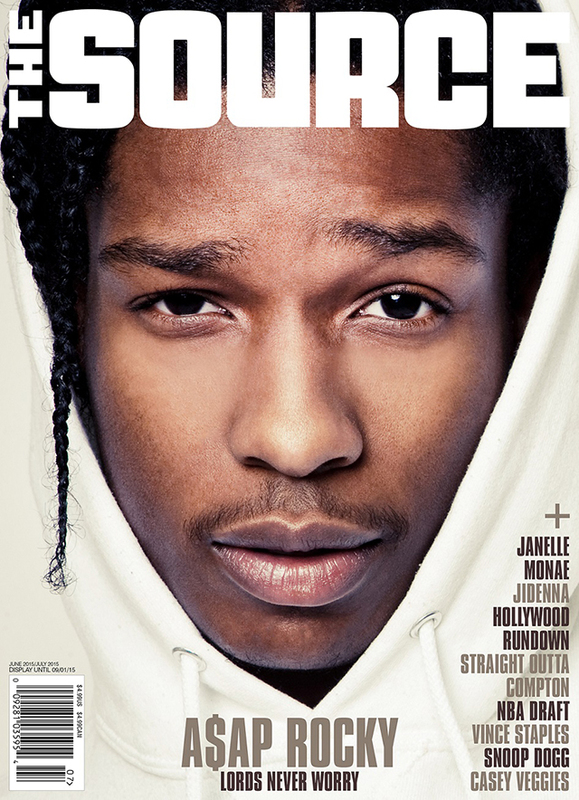 A$AP Rocky appears on the cover of The Source’s 2015 Summer Issue, which is scheduled to be available on newsstands Tuesday (June 29). The cover follows the release of the rapper’s #1 Billboard 200 sophomore album, At.Long.Live.A$AP, and his acting debut in the Rick Famuyiwa-directed film DOPE. The Harlem, New York native speaks with The Source about life after the passing of A$AP Mob founding member A$AP Yams and joining the cast of DOPE, among other topics. The Source’s 2015 Summer Issue explores the intersection between Hollywood films and Hip Hop in light of the upcoming N.W.A. biopic, Straight Outta Compton, and the Hip Hop drama series Empire. The issue also includes an interview with Selma and Marvel’s Black Panther director Ava DuVernay. The cover can be viewed below.